Renovated and move-in ready as full time residence or investment rental! Improvements in past year include new roof, gutters, heat pump and duct work, updated electrical and plumbing, hot water heater, water filtration, crawl space insulation, and interior renovations. Fall in love with the inside with new kitchen (oak cabinets/pantry, tile floor/backsplash, range hood, appliances), bathroom (vanity, tile surround in tub/shower), electric fireplace, refinished wood floors, and fresh paint. Vinyl siding and windows replaced 10 years ago. Septic pumped 2018. Extras: covered front porch, mountain views, ample parking, level yard. Located 4.3 miles to Route 29 in Lovingston for easy commuting and access to groceries, dining, banking and more. 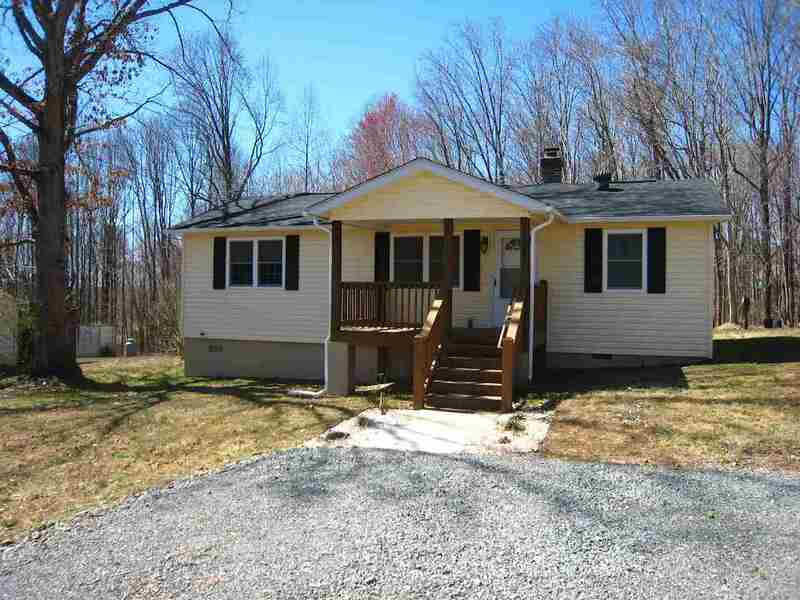 Please, send me more information on this property: MLS# 587899 – $89,900 – 397 Montreal Ln, Shipman, VA 22971.